At this point, you've probably grown tired of arguing with strangers in the comments section (where you offer credible sources and they, in turn, retort with non-related ad hominem remarks) whenever you see a post with questionable information. It's a little disconcerting when you realize how easily people fall for false news. No one can blame them, though, especially if they rely mostly on free Facebook data from their service providers, with no means of cross-checking information elsewhere. This is exactly why Facebook user Miko Santos decided to create Free Web Search. If you're using free Facebook but need to look something up real quick, Free Web Search has you covered. "It's still quite simple as it is but it's a start," said Santos in a Facebook post on his profile. 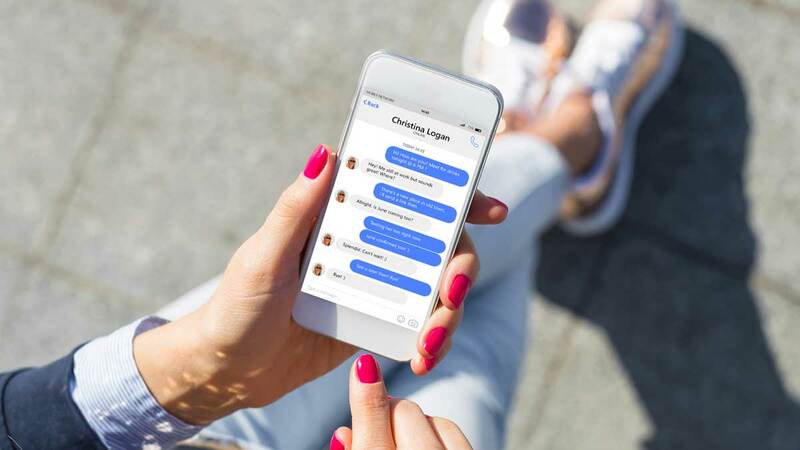 The Messenger-based chatbot can show up to 10 of Google's top results for each search query, and all you have to do is send the keywords to @FreeWebSearch on Messenger. It can also be used as a "primitive web browser": Just send the complete link to the chatbot and it will reply with the text-only version of the web page you're trying to view. "There's a good chunk of Facebook users that rely exclusively on its Free Facebook sub-features. 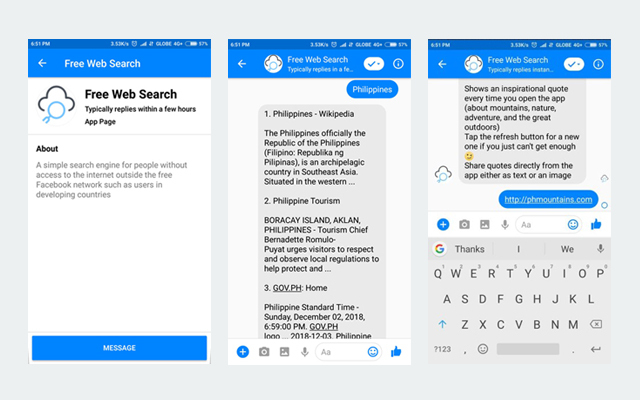 For these people, Facebook IS the Internet," Santos remarked, saying the chatbot's grand goal is to prevent the spread of disinformation and to combat fake news. "They, more than anyone, need access to reliable information that does not depend on catchy yet misleading article headlines and chain messages forwarded in Messenger endlessly without prior research." Created only on December 3, the chatbot still runs into a few problems every now and then. As of writing, Free Web Search can only run Google searches for a limited number of times per day. Santos is currently applying for "a higher API usage quota" from Google to resolve the issue. Its current setup is "quite expensive to maintain," but Santos put up an online donation drive for those who are willing to help out.